With the optimal mindset, you can clear the roadblocks on your path to success. Most likely, you believe you create your own success. Well, you’re right — you do! But maybe success has proved more elusive than you expected, and despite all your sweat and effort, you’re still not where you want to be. This is where MindWise Financial comes in. By handling your bookkeeping and financials, then uncovering what those numbers mean, we help you break through to new levels of profit, success and satisfaction. Analysis and Revealing Insights that Change You and Your Business: Our experts use their understanding of your financials to unearth the landmines buried along your road to success. Often these are hidden subconscious blocks that sabotage your business without you even knowing why it’s happening. By working with you to identify and shift these blocks, you become empowered and you can finally attain the level of profits and business growth you truly want. Ongoing Business Coaching: As you taste greater success, we stand at your side, supporting you in further financial and personal transformation. In MindWise Financial you gain a partner who’s not only a trusted financial advisor but a true changemaker who can enable and promote your business growth, wealth and financial security. Our Coaches: Patricia Gay and Elena DuCharme are our business and money mindset specialists. 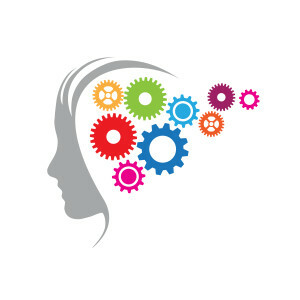 Both Patricia and Elena are Master NLP Practitioners with extensive experience coaching on the issues faced by business owners and professionals. Read more about them on our About Us page. If you’re struggling to grow your business or want to accelerate your financial and business success, we’re here to help.